Summer is HERE! Although my summer will be filled with summer classes and work, I'm blessed to live by the beach, where I can spend all my free-time laying out and playing with Odie! I decided to kick off the sunny season with a summer essentials post! I only picked out a few things (there are plenty more) but I truly believe these items are a MUST-HAVE once the weather warms up and the days get longer. Obviously this one is crucial. Without a swimsuit, you can't go to the beach or pool and work on your perfectly bronzed tan. My swimsuit that is pictured is the The Getaway Halter from Victoria's Secret and I absolutely LOVE it. The great thing about today is that there are so many different types of swimsuits. For example, the one-piece revival is upon us and while I think they are so cute, I don't believe I would ever be able to pull one off. I wouldn't feel comfortable, but summer time is for confidence and if you have the confidence in a certain swimsuit, wear the heck out of it! I absolutely love sea salt spray for your hair! Since I have curly hair, the Not Your Mother's Beach Babe Texturizing Sea Salt Spray is a God's gift from Heaven. When I'm too lazy to straighten my hair, I just spritz this bad boy all over and I get gorgeous beach curls without having to submerge myself in the ocean. It smells like coconut and can really transform your bed head into a paradise 'do! It's officially time to put away the burgundy's and deep red's and bring on the bright summer colors! Having a bright lipstick is so important during the summer, especially when it's time to hit the town. 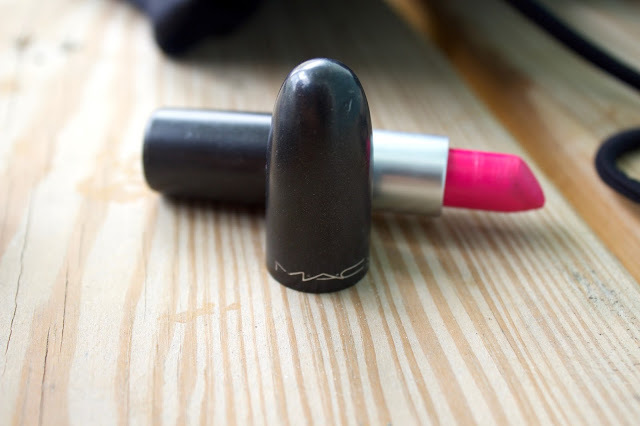 My go-to lipstick for a summer night out is a MAC Lipstick in "Candy Yum Yum". I was inspired to get this shade myself when my best friend Bri let me wear hers one night and I fell in love! It's a neon pink shade so I tend to wear it with my little black dress when I (very rarely) go out! Lotion is so important during the summer season! My favorite lotion during the summer is the Malibu Heat Beach Glow Body Lotion from Bath and Body Works. Unfortunately, that scent is discontinued and I just happen to still have some from my last purchase. It helps hydrate your skin when it gets too dry and leaves a bronzed glow that has the ability to turn heads! It's amazing! Any lotion, however, is essential during the summer! I have never owned tinted moisturizer before, but I absolutely love it! I decided to try the high-end brand NARS. Their Pure Radiant Tinted Moisturizer Broad Spectrum SPF 30 is a life saver when I need to put makeup on but want to keep my face hydrated and have the right amount of coverage. I got it in the shade "Cuzco" which is a medium tan due to the sun I'm soaking up at the beach! However, it does range from fair to dark skin tones to please all! I feel like no summer is complete without having a good read! The school year is so busy, I usually never have time to engulf myself in a different world so once summer break arrives it's no surprise that I have to find a good book to read while I'm at the pool or in the comfort of my air conditioned room. Right now I'm rereading the Miss Peregrine's Home For Peculiar Children series, but I plan to start the Uglies series (the second book is pictured above) once I'm done. In my last post, I talked all about my trip to NYC and how I bought this beauty while I was there. I have been hearing all the rage about the Anastasia Beverly Hills Glow Kits for quite some time now and decided to hop on the bandwagon. 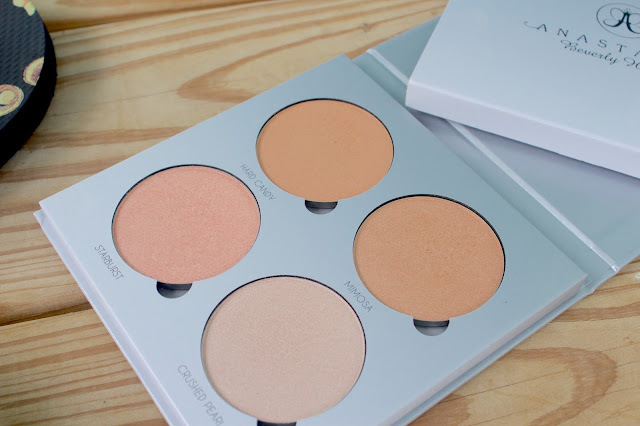 The Glow Kit comes in three different shades: Gleam, Sun Dipped, and That Glow. I got it in Gleam, which has more of the pinky-bronze shades instead of the gold/tan shades that are in the other ones. It looks amazing on a sun-kissed faced when going out and about and has great pigmentation so you don't have to put a whole lot on! After sun lotion has literally saved my life. My favorite is the Hawaiian Tropic Silk Hydration After Sun Lotion! While I was in Cozumel, I lathered this stuff all over me and it instantly hydrated my skin. It also prevented me from peeling after 12 plus hours in the sun every day and smelt amazing! It has shea butter infused with aloe, for cooling benefits, so it's definitely something to pick up at the store if you plan on being in the sun most of the summer! While gladiator sandals and cute flats are definitely summer friendly, the most practical shoe is the original flip flop. They are the perfect shoe to wear to and from the beach, to the pool, to summer classes, and can get wet without ruining them (most of the time). These Tory Burch flip flops are to die for! They're comfortable, waterproof, and extremely practical (especially when I don't want to make the effort to put on real shoes)! If I'm being completely honest, the sunglasses in my pictures aren't even mine. I just found them in my kitchen drawer, BUT to be fair, I'm ordering a pair of my own (cat eye style because those are the only ones I can pull off) once I get paid! If you didn't know, sunglasses are extremely beneficial during the summer. Primary reason: they keep out the sun from your eyes. Secondary reason: they're cute. I really hope you enjoyed my summer essentials! What are some of your must-have items this season? Also if you don't follow me on any social media, you probably don't know that I now have a blogging schedule! 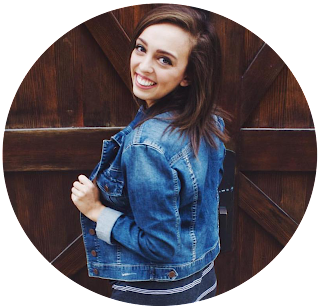 You can now expect a new blog post EVERY Wednesday on Earth to Kace! Happy Summer! I can never seem to get the sea salt spray to work quite right with my hair. I either overdo it and it's crunchy or I underdo it and it won't hold any texture. :( Such a bummer! I love the looks other people achieve but my hair just doesn't love it. What a great list. I love sea salt spray and need new flip flops and sunglasses. So many great things for my bag...I need a new summer bag. I've been wanting to try that Anastasia highlighter kit... I've heard really good things about it! This list seriously is a reminder i need a vacation. I would love to be at a pool in Vegas reading a trashy novel and drinking sea breezes. Lotion is a must 365 for me.